some didn't even go for their early morning swim. and turned up on time to be a welcoming committee. we wanted to show him what a great little group we are and how fabulous it would be if the shire would consider us favourably when local business decisions such as clubroom rents are being discussed. Sadly today he was unwell! I hope it wasn't the thought of spending fun time with us that made him feel faint. This blog is for you, our members, to keep in touch, show off your latest project and share ideas. Please become a follower and leave comments. If you would like to add pictures or items contact the blog team and it will be arranged. If you are a visitor to our blog, welcome and thanks for stopping by. Please leave a comment and come back again soon. 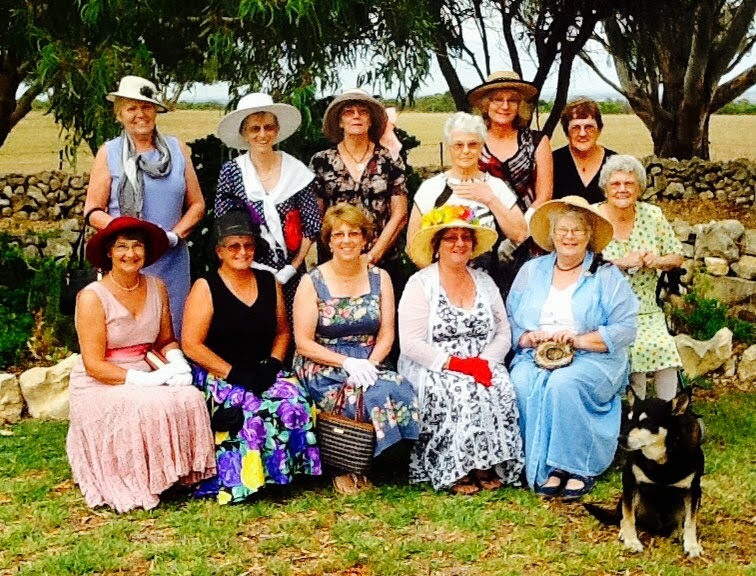 Dongara Patchwork Club holds a big quilt show in October every three years. We have just held our biggest yet and the next will be in October, 2013. Worth a look if you are planning a trip to our town. Happy day at the Penno Pub today, lots of beautiful handwork going on... Three Knitting, Three Stitching, Four Applique and one sewing. finally I am back to say hi.... been a very busy woman!